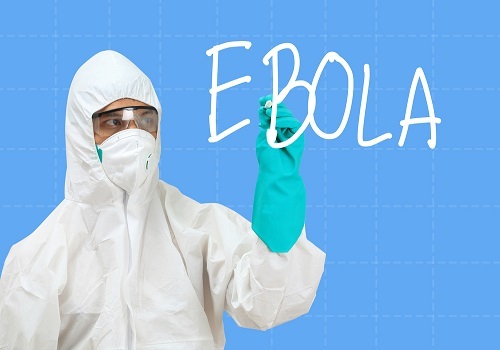 The virus of Ebola is a serious and often fatal condition in humans and non-human primates. It is caused by the infection and is one of the several hemorrhagic fevers. The infection causing virus is from Filoviridae family, genus Ebolavirus. The virus of Ebola uses a combination of genes to prevent the cells they infect by triggering the immune system of the body. The fatality rate of Ebola varies depending on the strain. It is considered extremely fatal because it does not actually kill you, your immune system does. In the struggle to fight back the virus, the reaction of immune system ravages the rest of the body resulting in the weak and leaky blood vessels. Soon, blood and plasma also start pushing through, coming out of the pores as well as every orifice. As soon as the Ebola enters the body, it starts stripping up the defenses. This virus was first discovered in 1976 near the river named Ebola which is situated in the Democratic Republic of Congo. Since that time the virus has been affecting people leading to the outbreaks in various African regions. It has been believed that the virus is animal-borne, with bats being the most likely source. The bats carrying the virus can transmit it to other animals like monkeys, apes and also human beings. What is Ebola and How it kills? Ebola is a type of virus that is made up of a tiny string of proteins that coat a single strand of any genetic material. Particles of that virus live in an infected person’s sweat, saliva, mucous etc. Once this virus(called filovirus) gets into the bloodstream; it immediately targets a compound called interferon. This is named for its role in interfering with the survival process of the virus. This compound delivers the warning signal straight to the cell’s command center. The virus of Ebola is also too smart to be taken lightly. It even hijacks the delivery process. The process involves preventing the immune system from organizing a coordinated attack. The immune system, being completely unaware of the problem gets attacked by the virus. It has been found to kill about 70% of patients suffering from the problem. Also Read: What Eye Color have to say about your health? rVSV-ZEBOV: This vaccine was developed by the Public Health Agency of Canada with a company called NewLink Genetics. This uses a weakened virus which has commonly been found in livestock; one of its genes have also been replaced by the Ebola virus gene. cAd3-ZEBOV: With the collaboration of United States National Institute of Allergy and Infectious diseases, GlaxoSmithKline has developed this vaccine. It uses an adenovirus vector which has been derived from chimpanzee. Needles should be properly disposed of. Before using them, make sure they are properly sterilized. This deadly disease is known to spread quickly through families and among friends as they are exposed to infectious secretions when caring for the ill person. The Ebola survivors may also experience side effects after their recovery, such as tiredness, eye and vision problems, muscle ache and also stomach pain. They may also experience stigma as they enter their society and their community again. Share this with your family and friends and make them aware of this fatal disease. If you come across any patient with Ebola, don’t forget to tell us his story in the comment section below. Stay Safe Stay Healthy. How life-threatening Vulvar Cancer is? How allergy disturbs entire immune system?